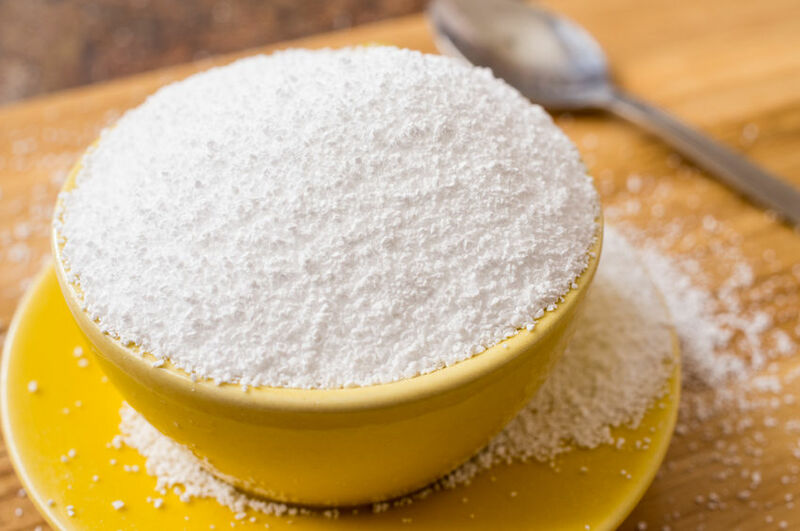 Artificial sweeteners mess up your gut flora, are potentially carcinogenic (cancer-causing), trigger caloric dysregulation, and increase cravings. Oh yeah, and as you probably know if you’ve ever reached for your fourth diet soda like a Pavlovian experiment gone terribly wrong, they’re addictive (possibly more than cocaine). And you’re totally legit for wanting them. You see, your sweet tooth developed at birth. It’s normal. But somewhere along the way, our taste buds became hijacked and a little sugar in our coffee wasn’t enough. A plethora of nasty processed foods meant we became accustomed to that amped-up high-fructose corn syrup sweetness, losing touch with the natural sweetness of, say, berries. Manufacturers fervently caught on with supposedly guilt-free, without-any-consequences artificial sweeteners, but they came with a price. Like trans fats, the only okay amount of these fake sugars is zero. So we should taper off natural sugar, and artificial sweeteners carry a zero-tolerance policy. Natural alternative sweeteners might be the answer, with a few caveats. Let’s take a look at five popular ones. 1. Monk Fruit extract (Lo Han; not the troubled actress!) is 300 times sweeter than sugar and rich in antioxidants, and may even offer anti-cancer and anti-diabetic benefits. I like 100 percent pure monk fruit, since some brands combine monk fruit extract with other sweeteners. 2. Xylitol is a naturally occurring sugar alcohol with a third of the calories and doesn’t raise blood glucose that sugar does. Once derived from birch trees, xylitol today usually comes from cornhusks or a corn/ birch blend, meaning it might be genetically modified (GMO). Also, sugar alcohols don’t agree with everyone. Put less gently: Overdo xylitol and you’ll probably be bolting for the bathroom. Oh, and you’ve heard by now it kills dogs, so avoid sweetening your terrier’s kibbles with xylitol (sorry, bad joke). 3. Erythritol is a sugar alcohol that naturally occurs in some fruits and fermented foods. It won’t rot your teeth or affect your blood sugar. Erythritol is digested differently than other sugar alcohols, so you make be able to tolerate it even if xylitol messes with your stomach. 4. Stevia is an herb that grows in North and South America. Stevia is 300 times sweeter than sugar so a few drops usually do the trick. It has zero calories and may even be good for your blood sugar. Some people complain of a bitter aftertaste but it’s pretty mild. Commercial brands of stevia usually combine rebaudioside A, a "highly purified product" derived from stevia. 5. Glycine is an amino acid with a naturally sweet flavor, making it an ideal sugar alternative. You’ll probably find it combined with other sweeteners. None of these are a free pass: All come with aforementioned glitches, from a funky aftertaste to serious gastric distress. Proceed with caution. If you need sweetener rules distilled, follow these nine strategies. 1. Weaning yourself off the sweet train becomes the best solution. 2. If you’ve got to have something sweet, complete a hard workout and then smartly indulge in a dark chocolate. 3. High-fructose corn syrup becomes the food version of a terrorist. Please don’t go there. 4. Stay away from artificial sweeteners. Just. Don’t. 5. Zevia (sweetened with erythritol and stevia) can help you wean off diet soda, but ideally you’ll ditch sodas altogether for La Croix or mineral water. 6. Natural alternative sweeteners provide some health benefits. A little goes a long way here. 7. Excessive sugar alcohols trigger unpleasant side effects, so proceed accordingly. 8. Stevia might be your best bet, but look for a 100 percent stevia product without maltodextrin (corn), natural flavors, or other junk. 9. Learn to appreciate natural sweetness in fruit, nuts, and other real foods. Have you struggled to get off the sugar or artificial sweetener wagon? Are you more aware about the detrimental effects of sucralose and other artificial sweeteners? And have you ever considered artificial sweeteners or other sugar substitutes a free pass? Share your thoughts below or on my Facebook page.